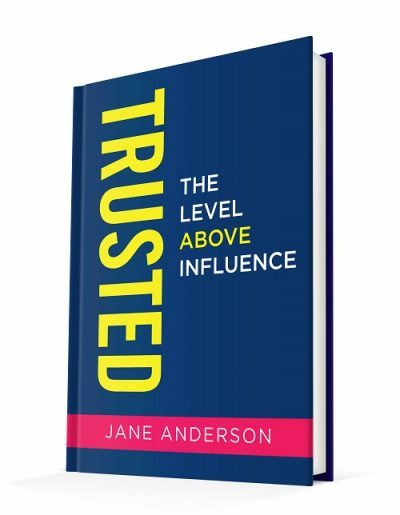 I'm Jane Anderson and my mission is to help CEO's, Leaders and Influencers like you to build greater trust and influence to grow their brands, teams and careers. Consider this - what would tomorrow look like if you had more trust in you as a leader or your brand? I think it’s all of the above and it’s absolutely possible because I will help you gain clarity, cut-through and consistency to have an authentic connection with your audience. I believe that leaders gain their influence through less coercion and more connection. They're authentic and the highest versions of themselves. I've been working in branding since I was 14 years old and have been booked as a person of influence on Sky Business, The Today Show, The Age, Sydney Morning Herald, BBC and Management Today. I'm a certified Speaker and Coach and worked with over 100,000 people across 5 countries with great success. I'm one of the most awarded branding experts in the world, have interviewed people like Seth Godin and recently won international Stevie awards for Best Mentor and Entrepreneur in 2018. I’m delighted to say I hold one of the top 1% viewed LinkedIn profiles, no mean feat when you consider there are a cool 600 million profiles on the site and I host the "Jane Anderson Show" Podcast which debuted in the top ten Management and Leadership podcasts. I've written 6 books and surveyed over 2000 experts to identify the most effective communication strategies for leaders to grow their businesses and careers. I also train Business Managers, Business Coaches and Personal Branding Consultants to become Certified “Influencer Coach Practitioners." You are extraordinary and more powerful than you could imagine. We both know this. Now let’s share it with the people that matter to you. IT"S TIME TO CREATE AUTHENTIC CONNECTION - LET’S START TODAY. Jane is a powerful combination of credibility and accessibility as backed up by her books – she is an award-winning speaker and writer, and has worked with a broad range of industries including telecommunications, finance, beauty, retail, government, aviation, and academia– she also appears regularly on television and in the media. There is nothing more powerful than the essence of you to build credibility, trust, and influence. She’s my go-to person for any thought leader who needs to improve their brand. "I love Jane’s work, and I love who she is as a person. She takes her own medicine – her profile is ranked in the top 1% of LinkedIn worldwide, and Feedspot recently rated her blog at #23 in the top 100 most influential branding blogs globally. She’s my go-to person for any thought leader who needs to improve their brand and needs to get in front of people in a new market. She’s also the person who supports me around my profile and branding – I feel very fortunate to be her client. More than that, she’s an inspiring person who is a pleasure to work with. Not only is she the best in Australia at what she does, she’s generous, straight, and brings joy to her work." Jane was empathetic, yet effective, and her knowledge of marketing and lead generation for thought leaders and influencers is second to none. "I've used coaches extensively through my career and truly believe in the process. But when you find a coach who you really connect with it makes a big difference. After establishing a consultancy a few years ago, I felt my brand needed to mature to take into account the shift in my client base and my own expertise. Plus I was too close to my own material and blind to my own weak points. 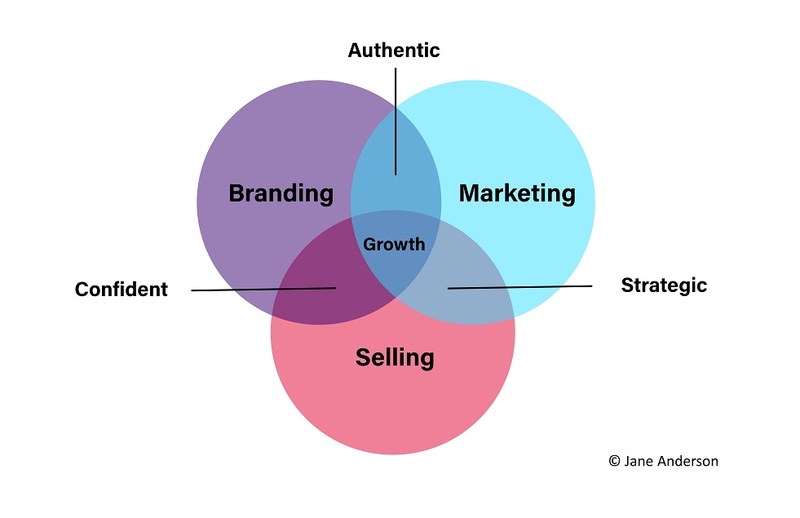 Jane was empathetic, yet effective, and her knowledge of marketing and lead generation for thought leaders and influencers is second to none. With just a few sessions I have repositioned myself in the marketplace and created a whole new range of offerings that will enable me to have a far bigger impact. I'm now delighted to continue to work with Jane for the rest of the year and am looking forward to even more growth. Thank you, Jane!" Jane’s experience and knowledge shine through in her ability to connect, de-clutter and shape the way we work online. "Jane’s experience and knowledge shine through in her ability to connect, de-clutter and shape the way we work online. Not only is she a wonderful positive presence and a joy to work with, her vision and drive make it all the more engaging. She creates a real impact for those she works with and for." If you want to stand out – and who doesn’t, Jane is the one to go to for all things around personal branding. Jane has shown me how to connect with my audience in a way that suits them and builds trust. She has also shown me how to effectively nurture existing business relationships to grow my business quickly. Jane is the real deal, her work is measured and substantial. "Jane is an extraordinary thought leader. Her work on presence and impact helps us stay real and connected in a crazy online world. Jane is the real deal, her work is measured and substantial." Jane’s superpower is identifying your uniqueness and amplifying it. Jane’s expertise and process have given me such pride in my positioning and complete clarity on what I need to do to grow my practice. If you are wanting to get traction with your business growth, lead generation and LinkedIn, there is no better person than Jane Anderson. "If you are wanting to get traction with your business growth, lead generation and LinkedIn, there is no better person than Jane Anderson. She is a complete Thought Leader in this space and even better, she acts and lives her recommendations and is a beautiful, generous person with it. She takes you from ideas to action super-fast! I am in awe of Jane’s drive, willingness to share and leverage everything for impact. Jane truly connects and makes an impact. She is a world leader and an amazing, inspirational woman with it. I recommend you connect with Jane and your business and life will be better for it!" Jane helped me to lift my personal brand on LinkedIn. "Jane helped me to lift my personal brand on LinkedIn. I not only walked away with a fantastic LinkedIn profile which I feel represents me perfectly, I have also gained a depth of knowledge and a range of strategies that I use every day now to help position me in a crowded marketplace. Jane was easy to work with, and had a great team supporting her to get me a great result. Thanks, Jane." I have never ever experienced such dedication, compassion, caring and above all – a more authentic person in my career. "I have been in the process of being mentored by Jane Anderson since June 2017. Jane is helping me to establish my brand, and to become an influencer in my field. I have never ever experienced such dedication, compassion, caring and above all - a more authentic person in my career. I'm sure we know this - but it is always good to remind ourselves of the real angels in our midst ..."
Jane is a clever, articulate and authentic thought leader in the space of corporate image and presence and wonderful to work with. "Jane Anderson worked with me on both my LinkedIn profile and my brand presence. Jane's professional advice was insightful and helped me to make some great positive decisions about the alignment between my image and the value that I provide. The work on my LinkedIn profile paid off immediately with a new client meeting with me based on the FFS - First Four Seconds (one of Jane's mantras) of reading my LinkedIn profile. This meeting has led to long term client relationship. Jane is a clever, articulate and authentic thought leader in the space of corporate image and presence and wonderful to work with." In the quarter we worked on my profile, my sales grew 66%! "Before working with Jane my profile wasn’t generating any business for me at all. In fact, I cringed when I thought of somebody reading it. Today it is a tool that I use as part of my business growth strategy and is a key part of my sales process. In the quarter we worked on my profile, my sales grew 66%! Needless to say, I am thrilled with the results and refer all my clients to Jane and her team. Jane’s knowledge of LinkedIn is second to none." My business has more than doubled its value since working with her and I know she has been instrumental in enabling my brand and the structures around my business to flourish. "Jane is one of the most inspiring and resourceful leaders I know. She has been such a wonderful mentor for my business. Working with her has meant that I have more clarity over who I am and what I could be, more certainty over how to achieve my goals and more credibility as a thought leader and service provider. She has a crystal clear strategy for success and her commercial thinking wrapped up in a down to earth and empathic style has benefited me enormously. My business has more than doubled its value since working with her and I know she has been instrumental in enabling my brand and the structures around my business to flourish. I will always be so very grateful to have found Jane." 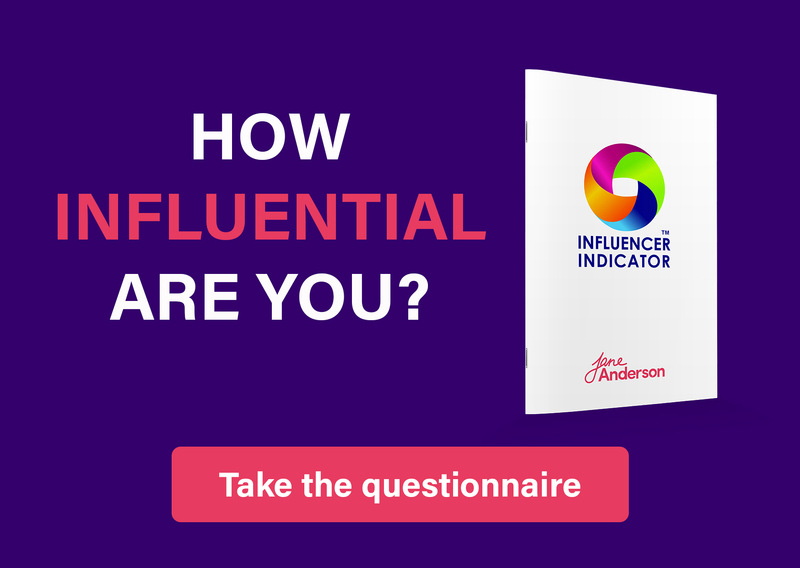 The Jane Anderson Show is the podcast for experts, consultants, speakers, trainers, academics and coaches who are or aim to be the leaders in their field. Jane shares her insights as well as interviews those who are industry experts to find out about their experiences when marketing themselves under their Personal Brand, or name.